An Egyptian-American charity worker who was imprisoned in Cairo for three years and became the global face of Egypt’s brutal crackdown on civil society returned home to the United States late Thursday after the Trump administration quietly negotiated her release. The Obama administration unsuccessfully pressed Sissi’s government for their release. It was not until Trump moved to reset U.S. relations with Egypt by embracing Sissi at the White House on April 3 – he publicly hailed the autocrat’s leadership as “fantastic” and offered the U.S. government’s “strong backing” – that Egypt’s posture changed. 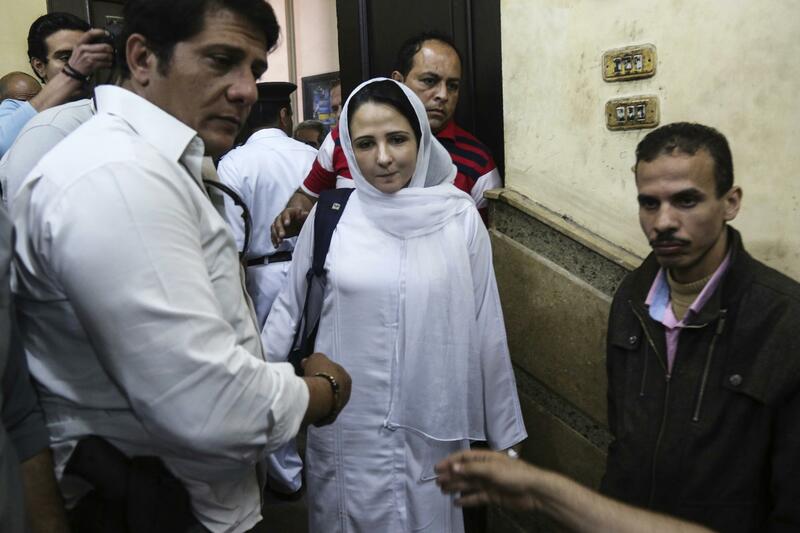 Last Sunday, a court in Cairo dropped all charges against Hijazi and the others. A senior administration official said that no quid pro quo had been offered for Hijazi’s release but that there had been “assurance from the highest levels (of Sissi’s government) that whatever the verdict was, Egypt would use presidential authority to send her home.” The official said the U.S. side interpreted that to mean that a guilty verdict and sentencing would be followed by a pardon from Sissi, but they were pleasantly surprised. The senior Trump administration official said the agreement for Hijazi’s release was the product of Trump’s “discreet diplomacy” – meaning the president’s efforts to cultivate warm relations with strongmen such as Sissi and Chinese President Xi Jinping, in part by avoiding public pronouncements on human rights that might alienate the foreign governments. “The United States can sometimes lead with things, and do it publicly, (in ways) that are offensive to people and likely not get the kind of result that we’d like, whereas working it quietly and making it a priority, but doing so in a way that is not a public embarrassment to the other party, that’s the way they worked this,” Corker said in an interview Thursday. But the senior administration official said Trump had been following Hijazi’s case and raised it privately with Sissi. While President Barack Obama was uneasy with the elected government of Mohamed Morsi, whose political organization was tied to the Muslim Brotherhood, his administration rejected Sissi’s charges of terrorism ties. After the coup, Obama withheld aid from Egypt – for decades, the second- largest recipient of U.S. military assistance, after Israel, at more than $1 billion a year. Published: April 20, 2017, 8:01 p.m. Updated: April 20, 2017, 10:01 p.m.